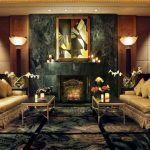 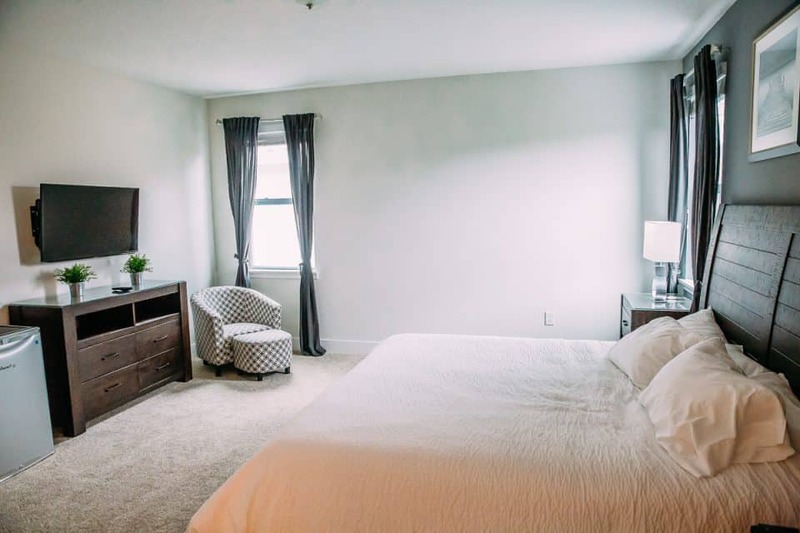 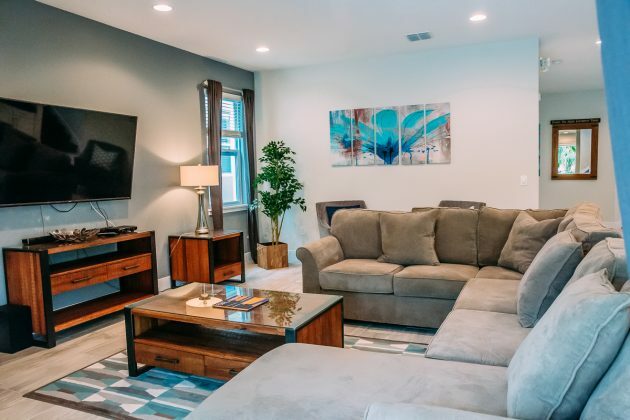 Looking for a unique and upscale place to stay when visiting Orlando? Take a tour of Encore Resort at Reunion. 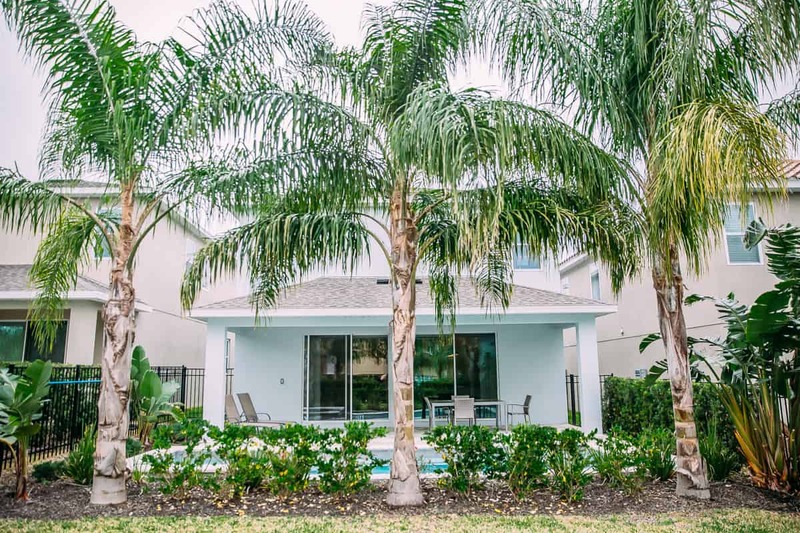 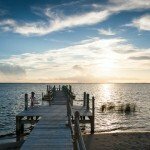 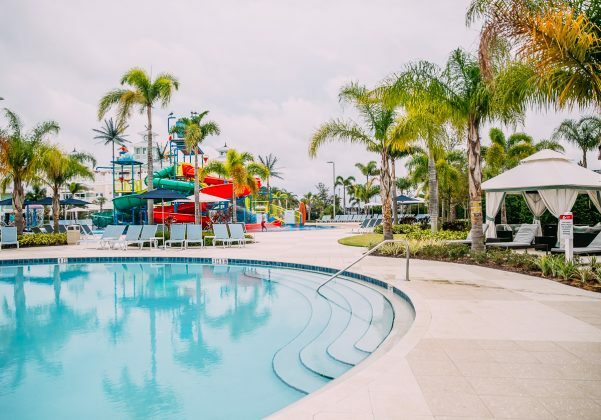 This property is guaranteed to be one of your favorite family resorts in Florida. 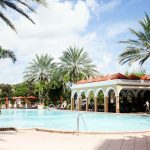 What makes Encore Resort different is their unique take on resort accommodations coupled with amazing amenities. 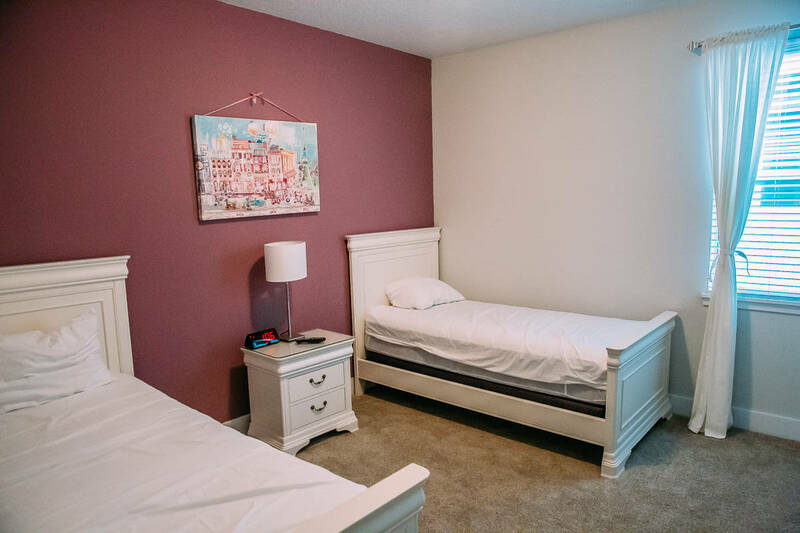 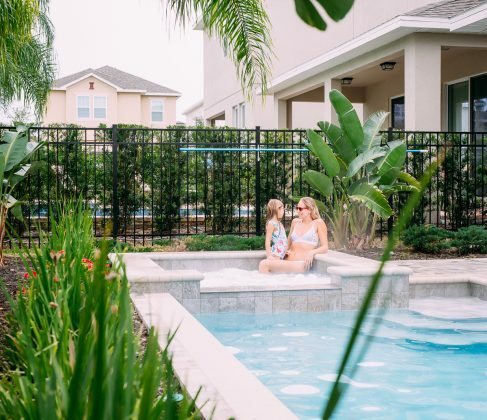 You will not find hotel rooms here, but full size homes for your entire family at Encore Resort in Orlando. 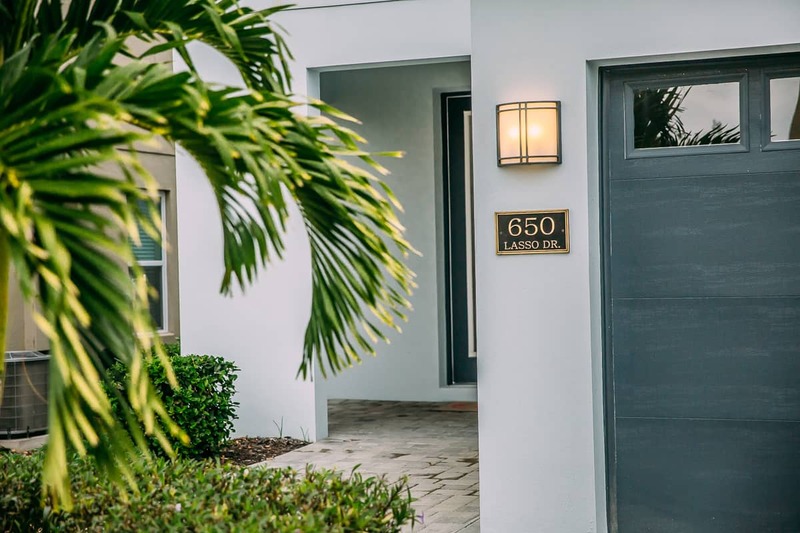 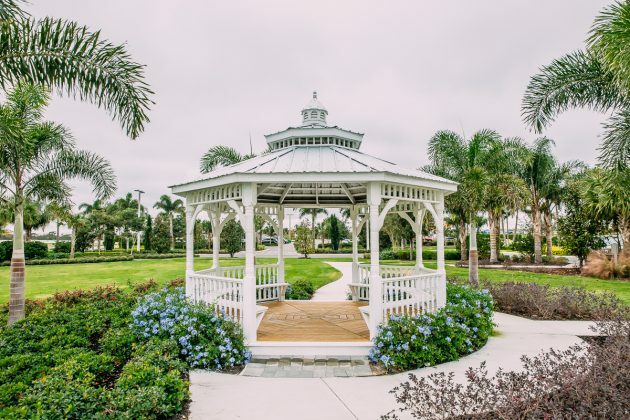 It will feel like you’re moving right into a gated community filled with luxury homes and fun things to do for the whole family. 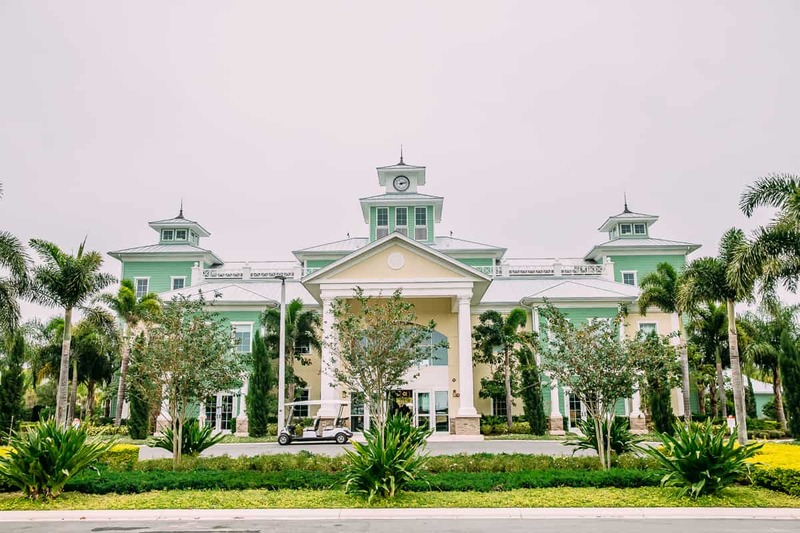 The room accommodations at Encore Resort at Reunion are unique and very upscale. 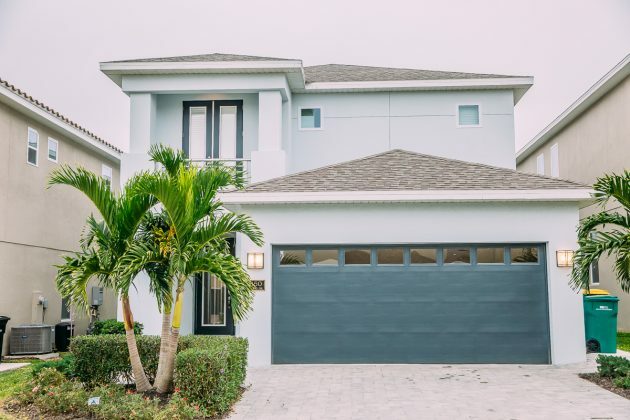 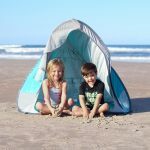 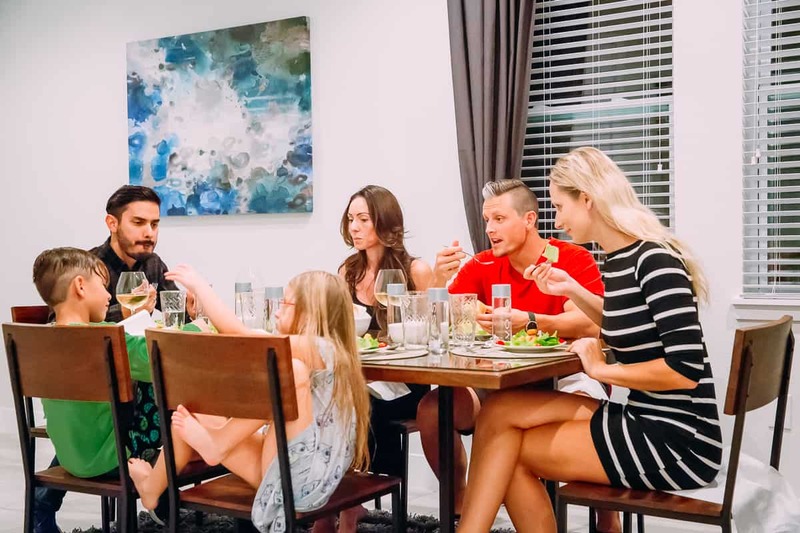 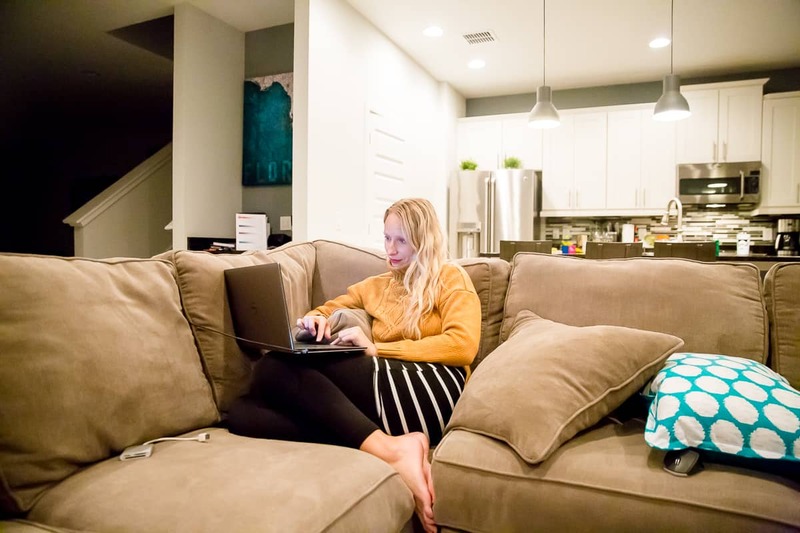 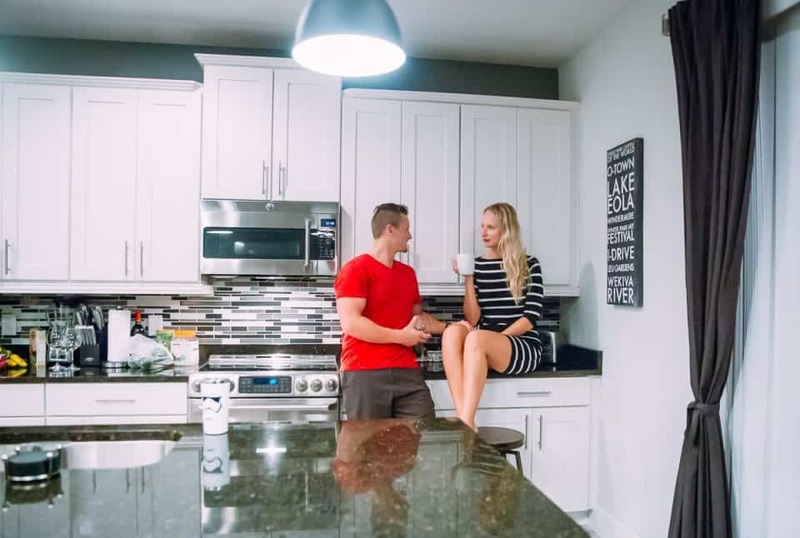 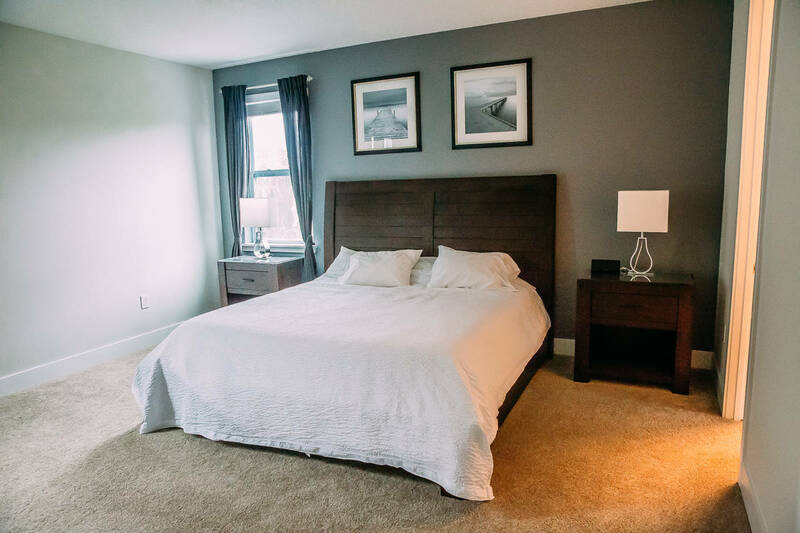 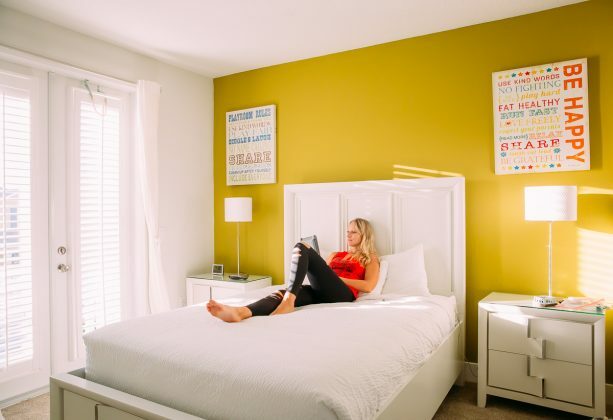 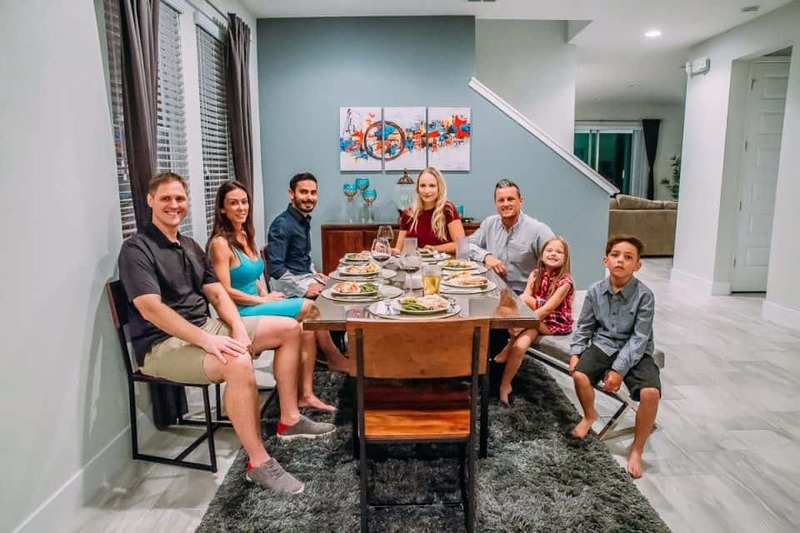 A better term would be “living” accommodations since you’ll be living in a full size home which makes it one of the most comfortable family resorts in Florida. 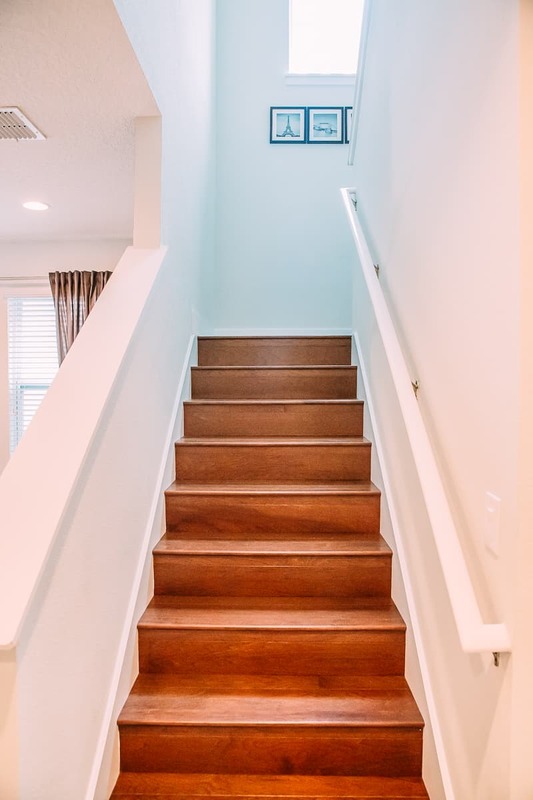 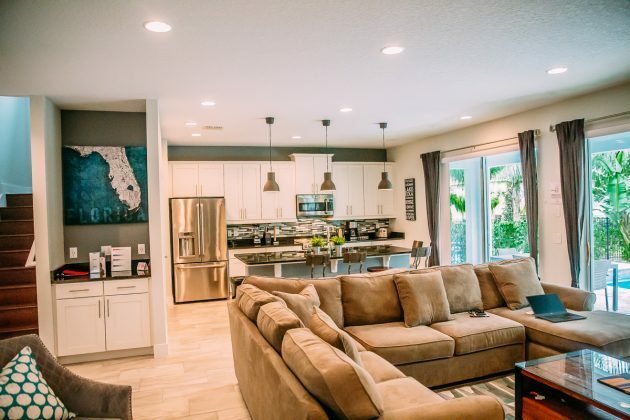 The homes at Encore Resort in Orlando start out at 4 bedrooms and go all the way up to 12 bedrooms. 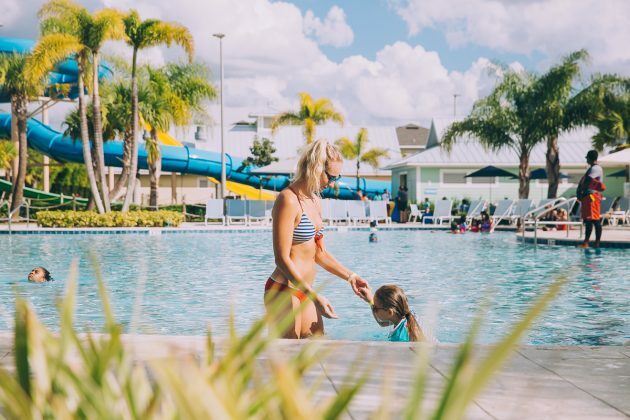 How many family resorts in Florida can you literally stay with your entire family all under one roof? 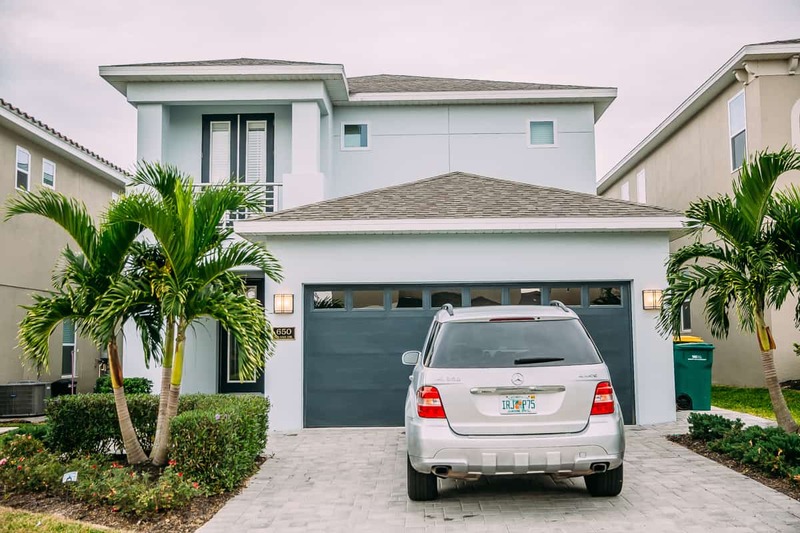 The houses are very good size as well, ranging from 2,400 square feet to over 6,400 square feet. 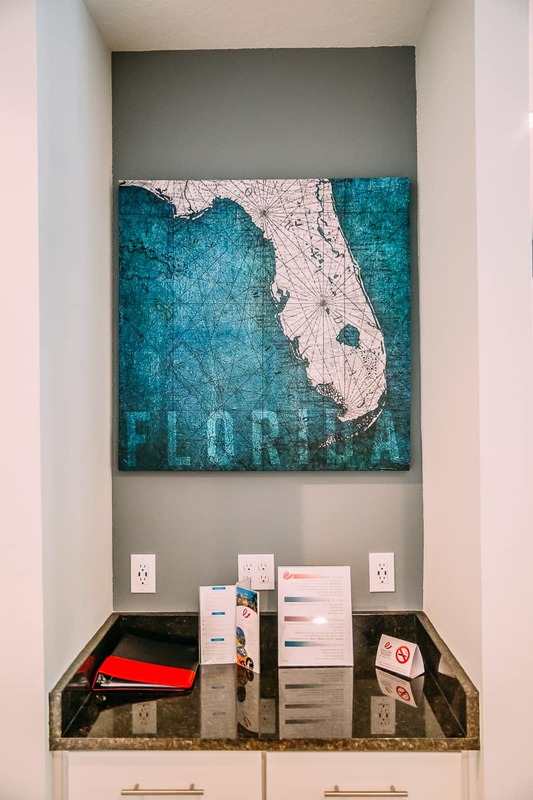 All the houses at Encore Resort in Orlando are equipped with luxury amenities and everything you’ll need to feel right at home. 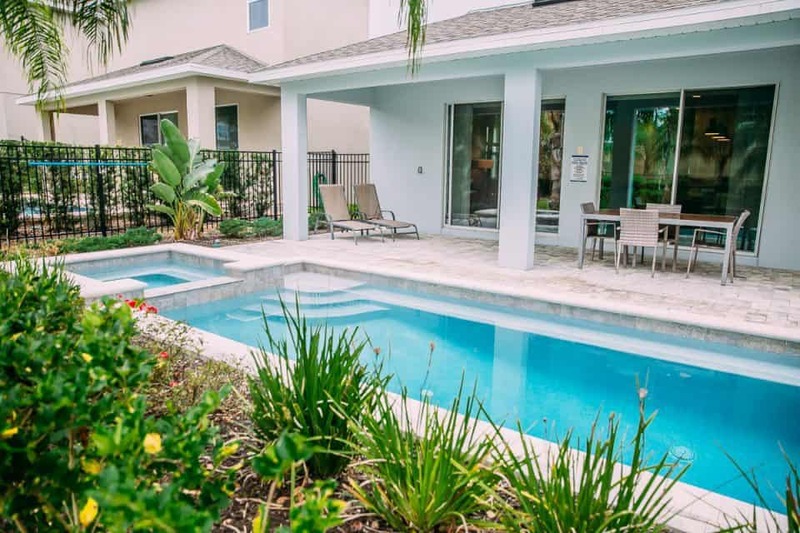 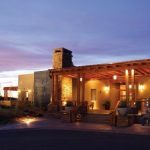 Common features among the houses are a gourmet kitchen, dining room, living room, covered patio, 2 car garage, laundry room, game room, in-ground pool, and hot tub. 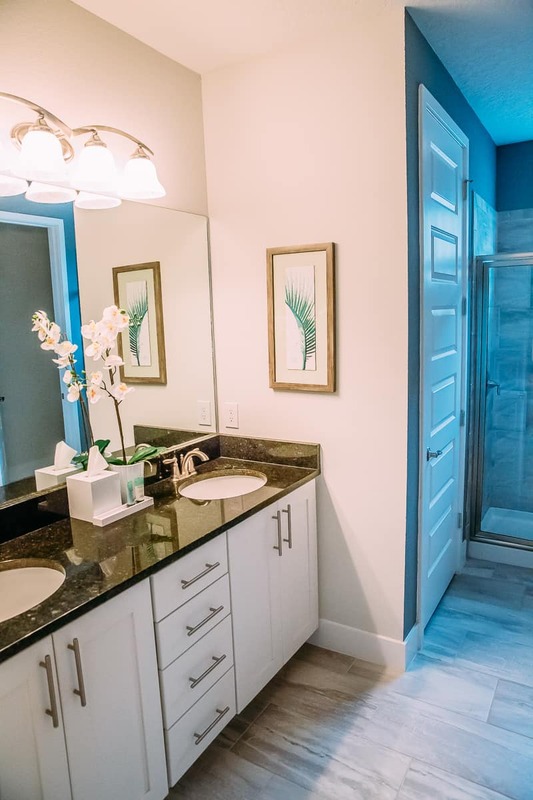 Another key factor is the number of bathrooms usually matches the number of bedrooms in each home, a very nice feature. 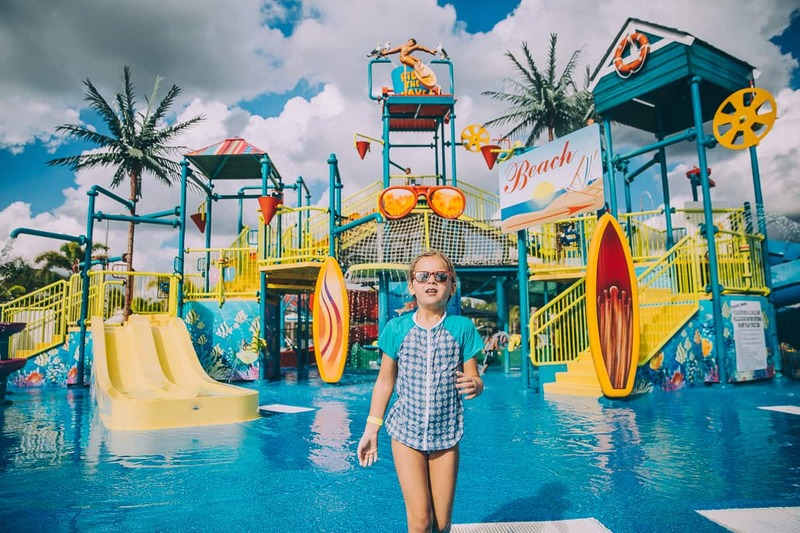 No more waiting to get ready in the morning to get everyone out the door to Disney! 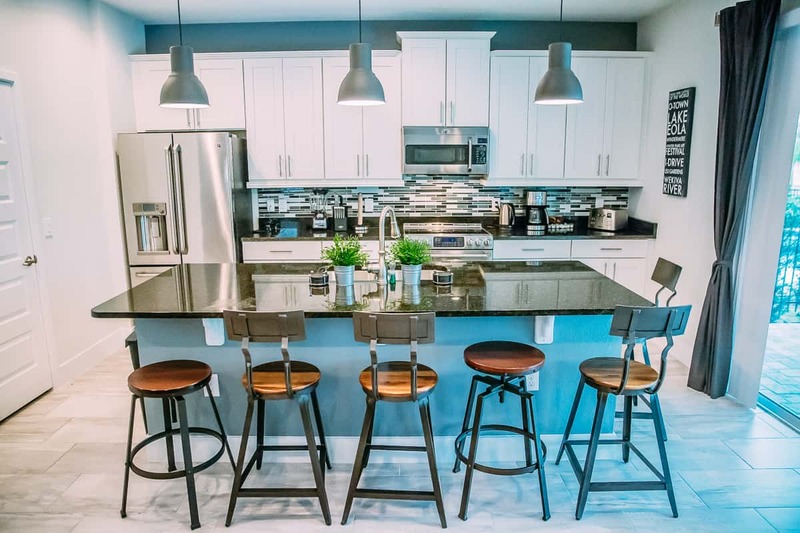 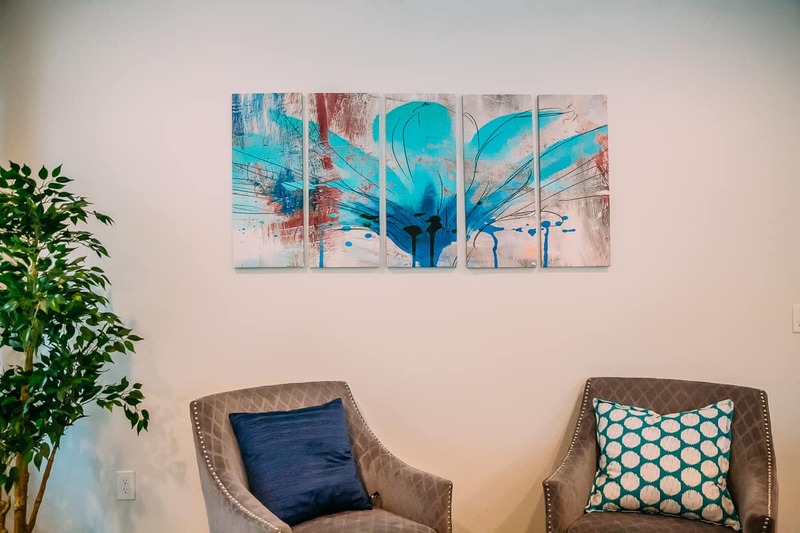 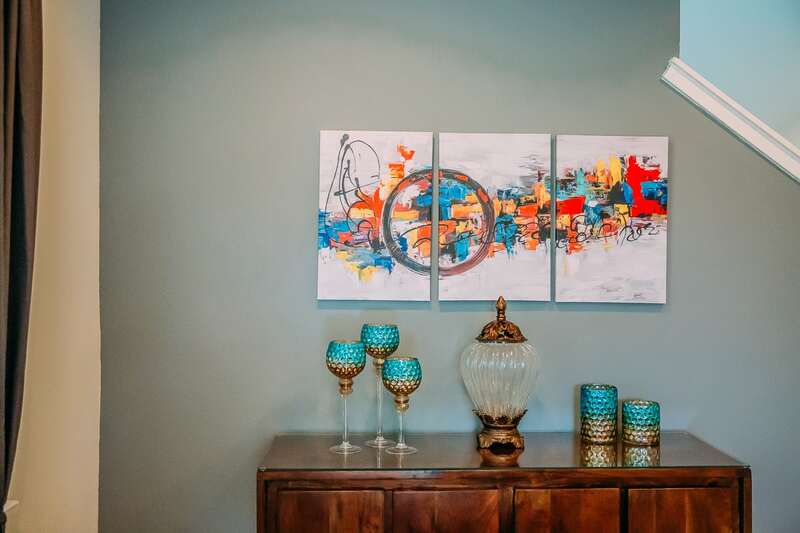 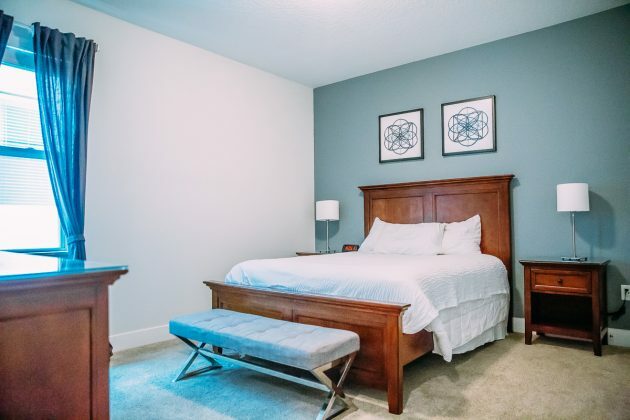 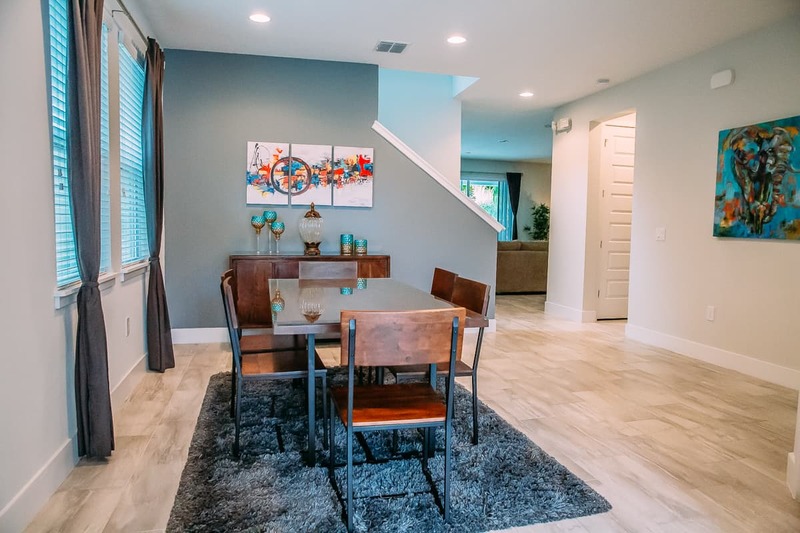 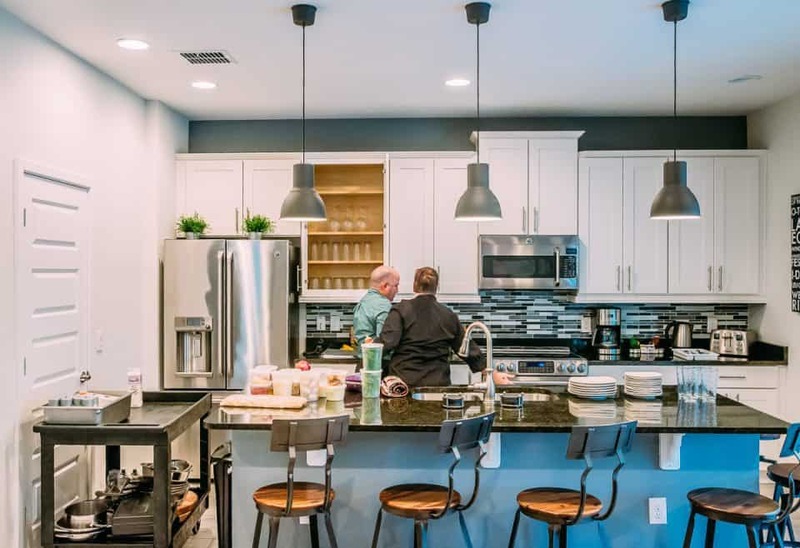 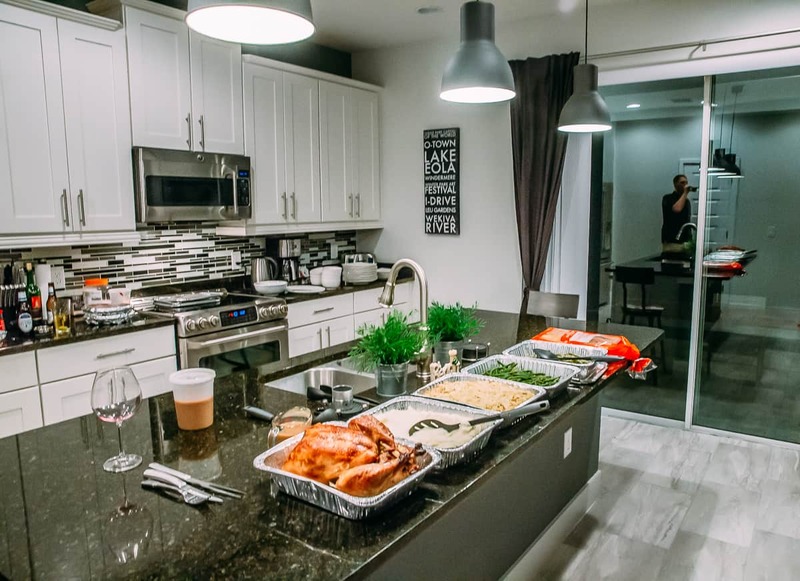 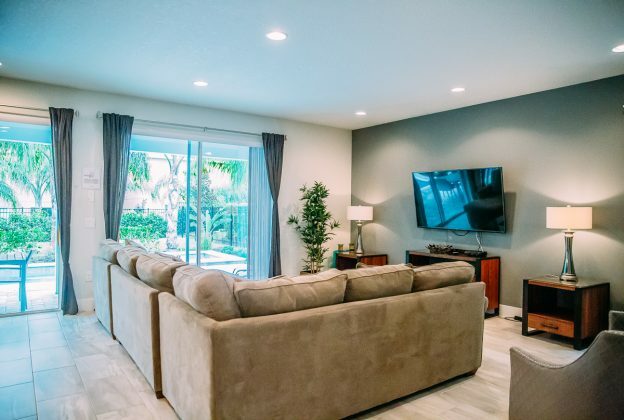 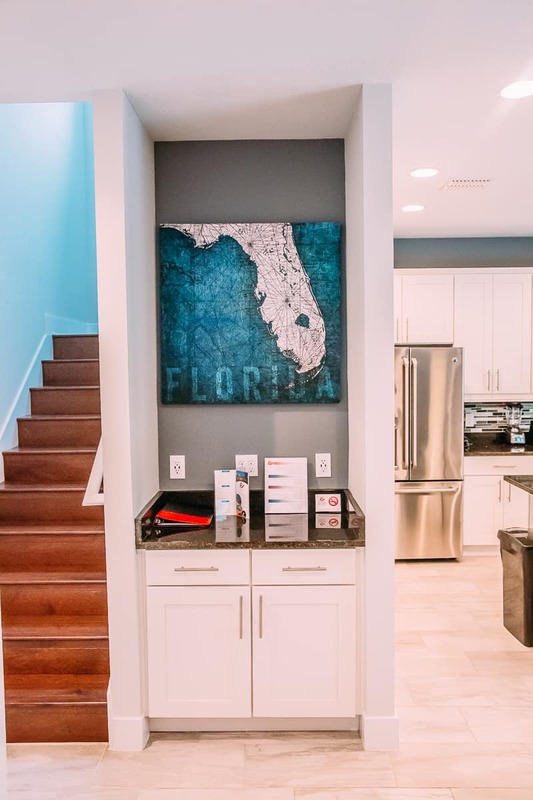 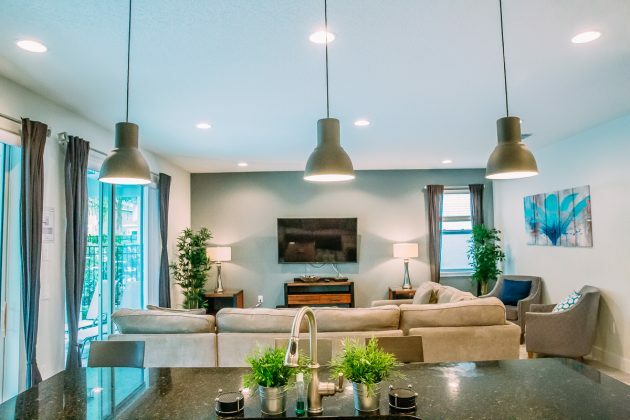 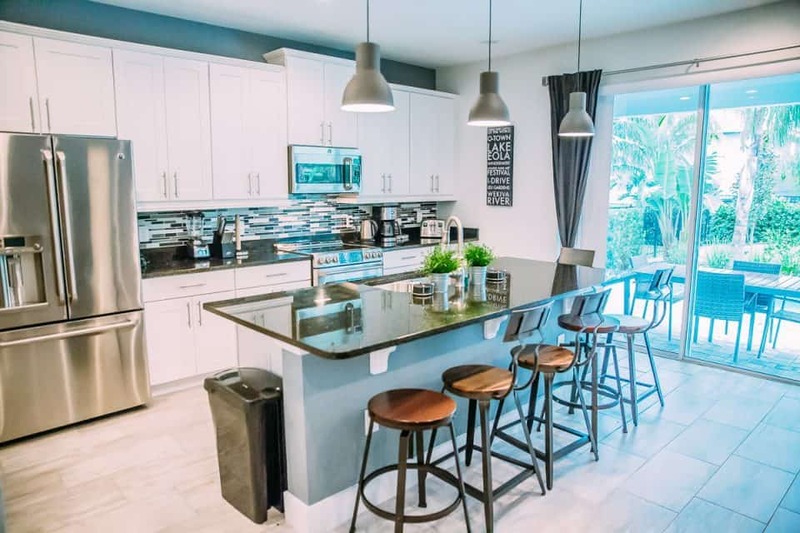 Flat screen TVs, comfortable beds, quality furniture, beautiful artwork, and high-end appliances in a fully functional kitchen will ensure you have everything your family needs at Encore Resort in Orlando. 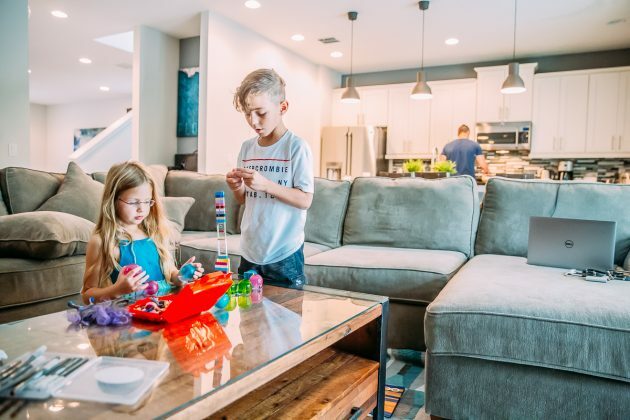 You’ll have everything you’d find in your own home and more. 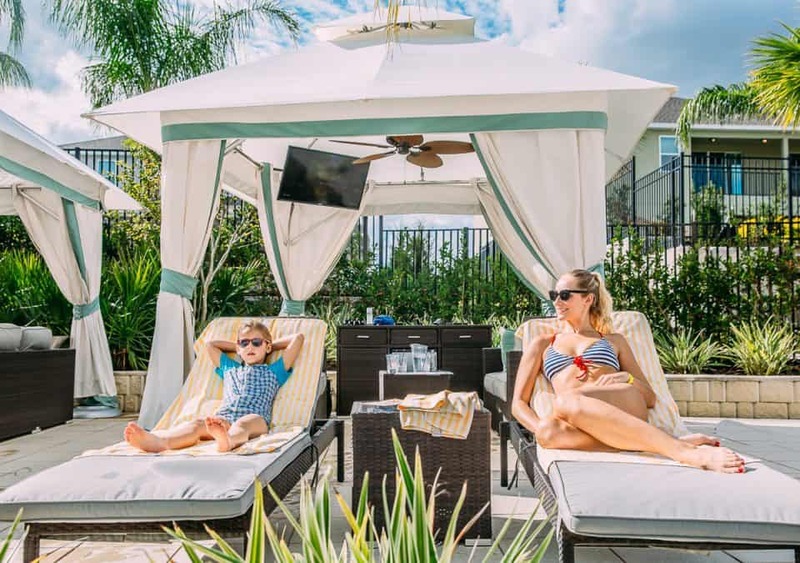 In addition to all the amenities offered within your luxury rental home, Encore Resort in Orlando has additional services and comforts as one of the best family resorts in Florida. 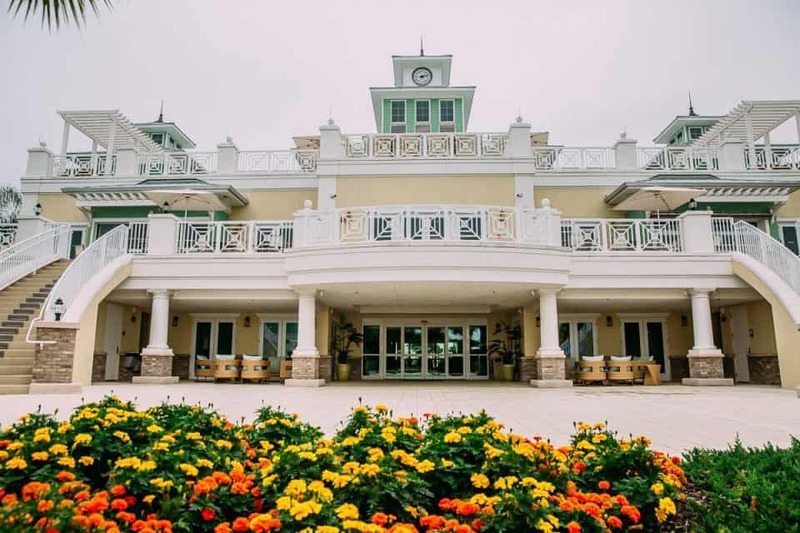 Attraction tickets and transportation arrangements can always be handled by the concierge desk. This takes a lot of the hassle out of planning and coordinating a trip over to the parks. Encore Resort at Reunion also offers car detailing services, babysitting, and grocery delivery. 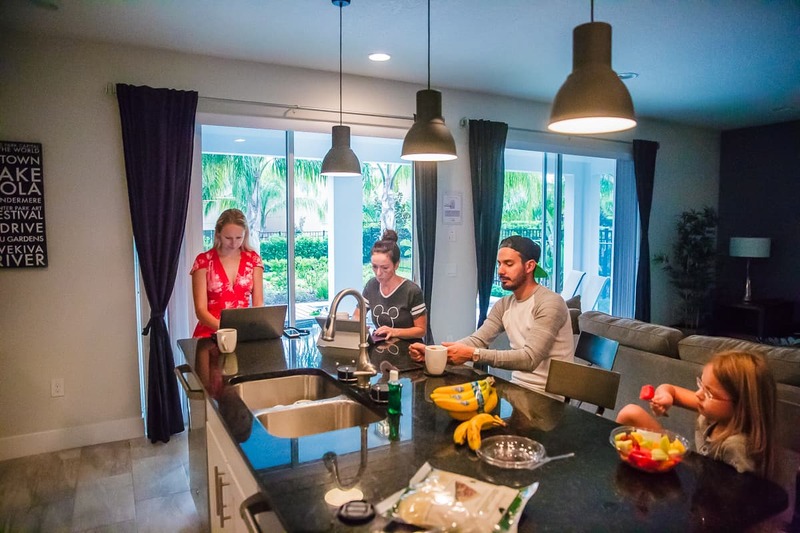 All of these services are offered to ensure you spend your time enjoying your vacation and not tending to tasks you normally do back home. 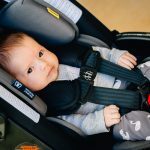 Also, if you forgot something or are in need there is a full list of equipment that can be rented such as strollers, cribs, grills, and more. Encore Resort at Reunion is located near some of the world’s best attractions. 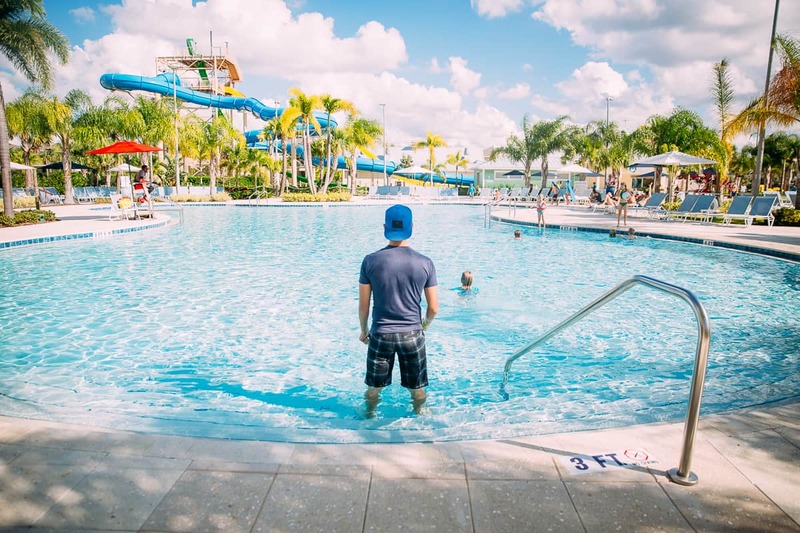 Most notably, Disney World, Universal Studios, and Sea World are all close by. 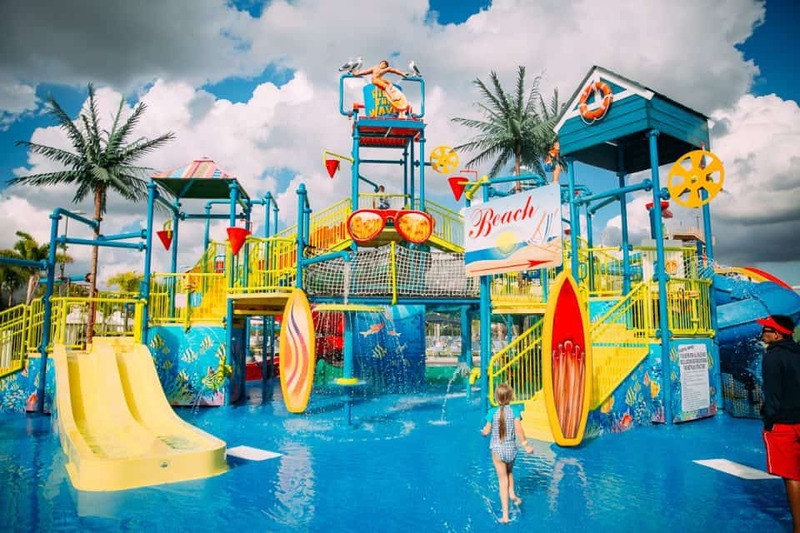 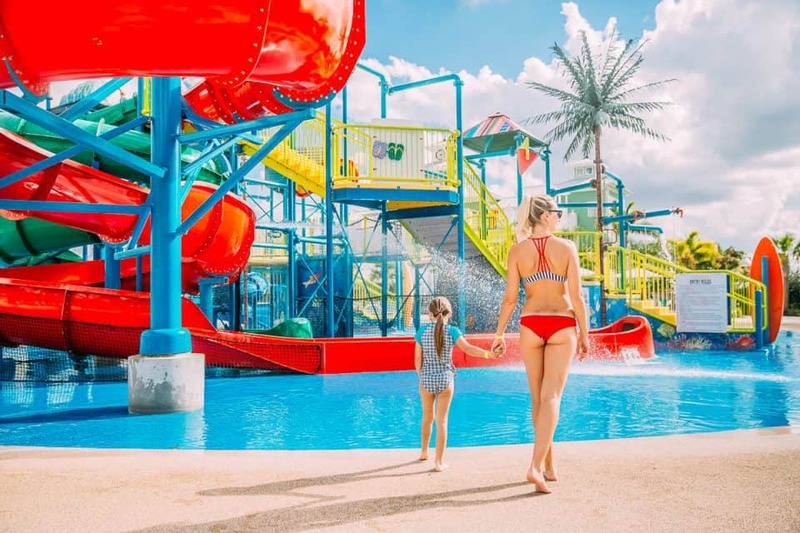 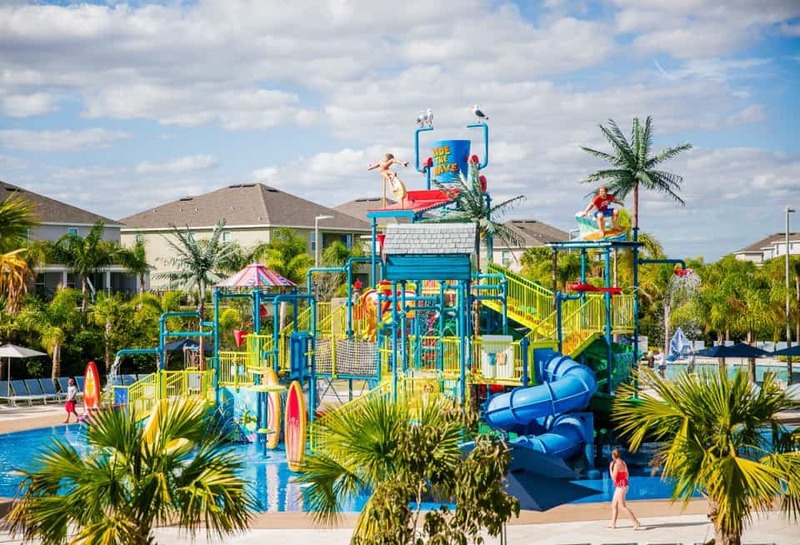 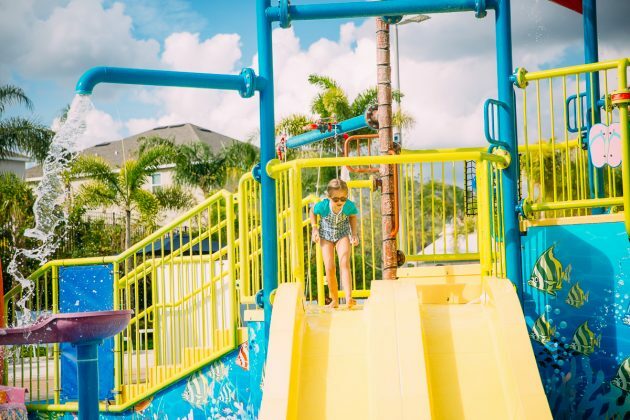 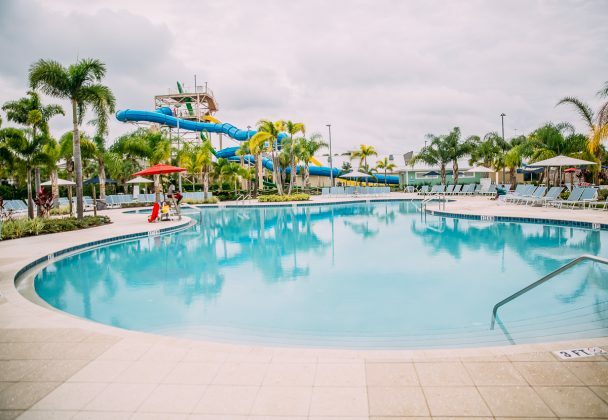 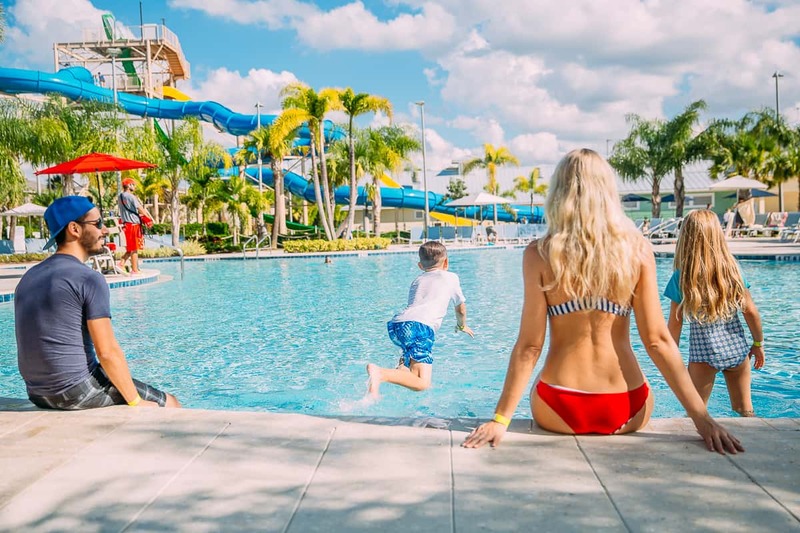 It’s no wonder there are many options for family resorts in Florida, but Encore Resort in Orlando is a step above for your family. The property offers very fun, luxurious, and relaxing options that will satisfy all ages of your family. 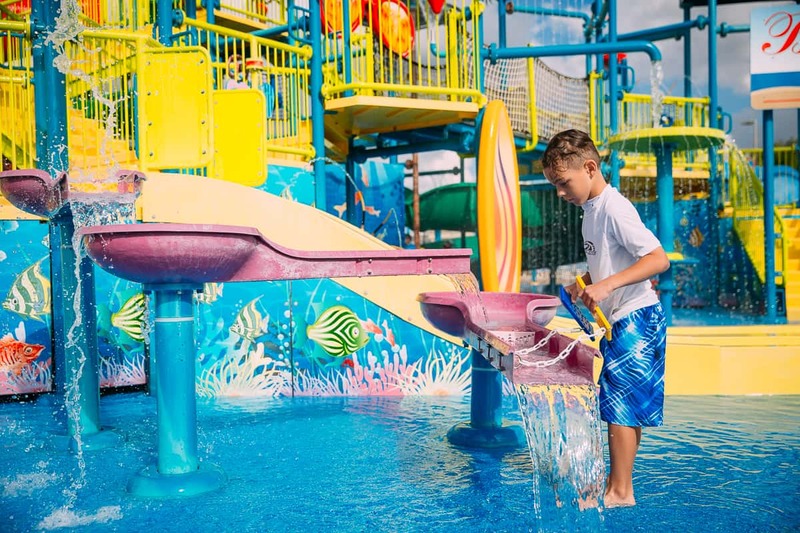 For the kids, there’s the massive interactive water park. 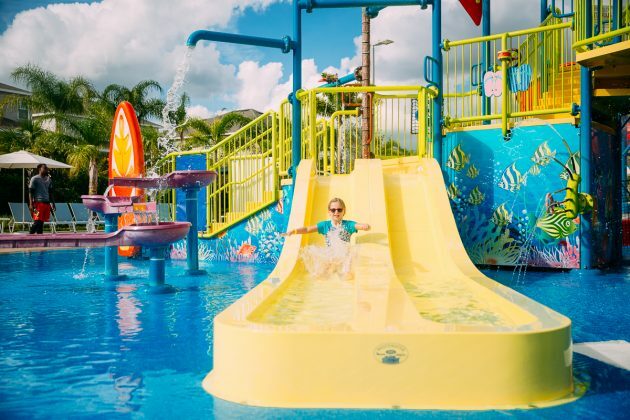 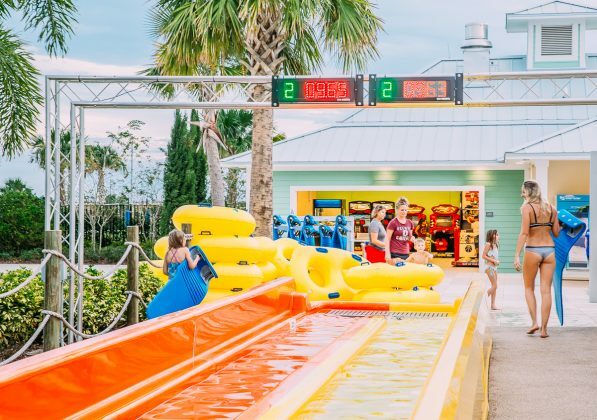 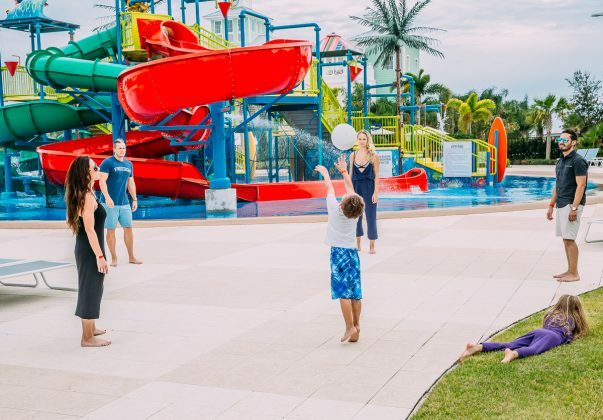 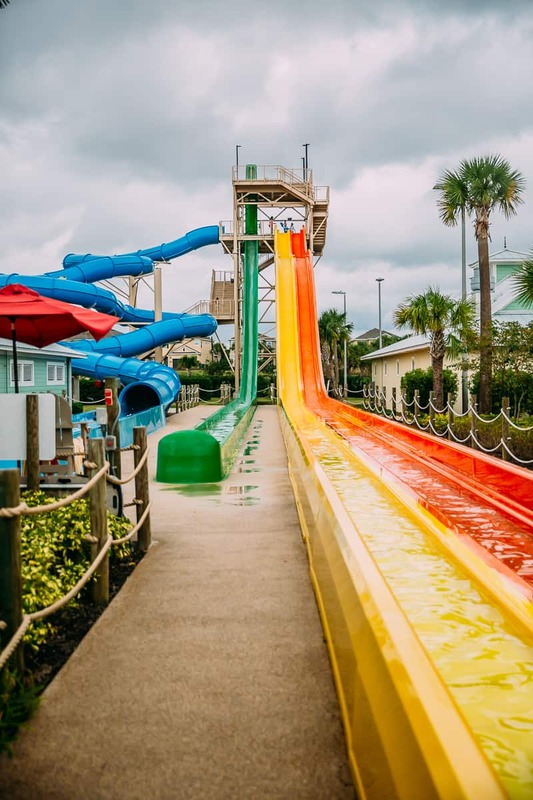 The Encore AquaPark is a maze of slides, bridges, games, and various ways to spray water at your friends. 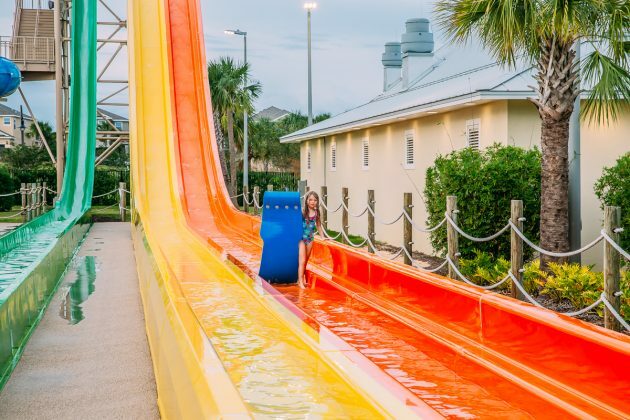 At the top is a giant bucket that periodically spills over launching gallons of water on those caught below! 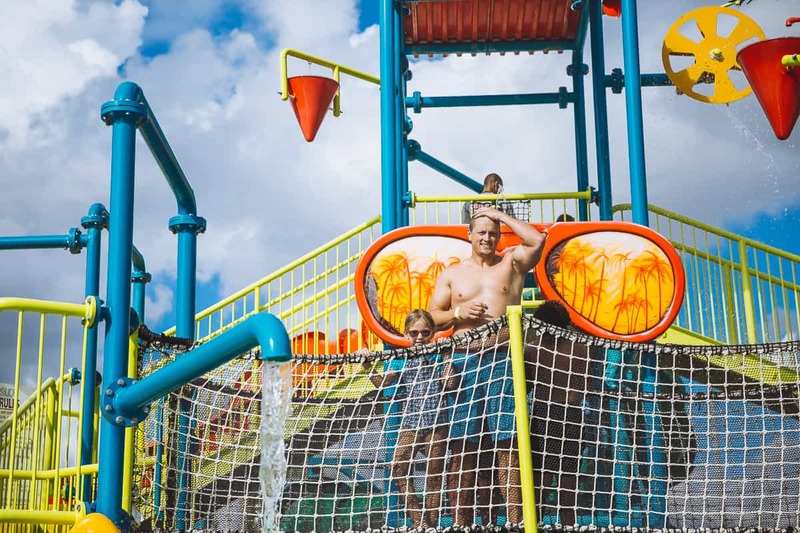 The entire area around the AquaPark is padded and overseen by life guards at all times. 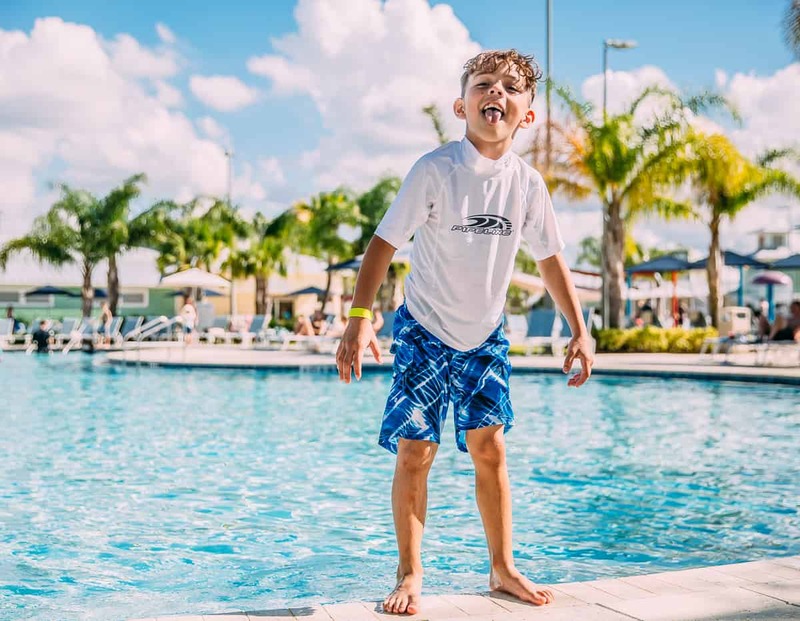 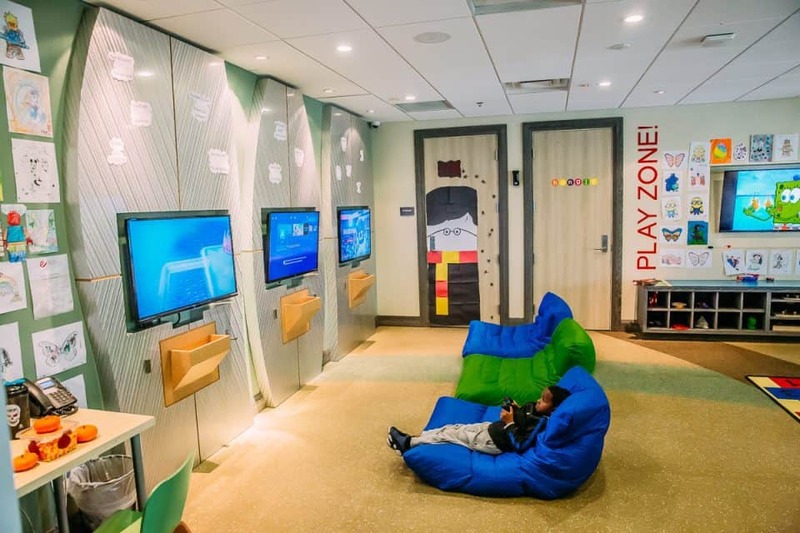 Encore Resort in Orlando wants to ensure the kids have a fun and safe experience while the adults have time to relax. Around the pools, there are lounge chairs and cabanas to spend the day in. 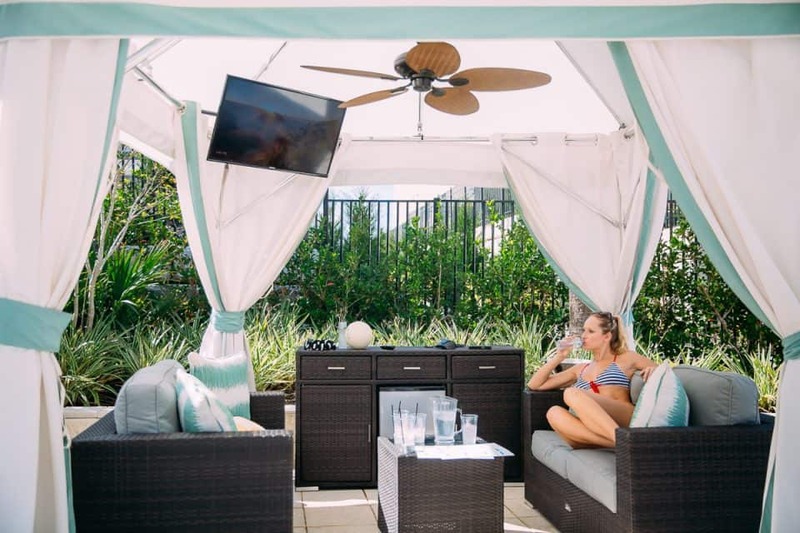 For extra relaxation, stop by the spa and schedule an appointment for yourself. 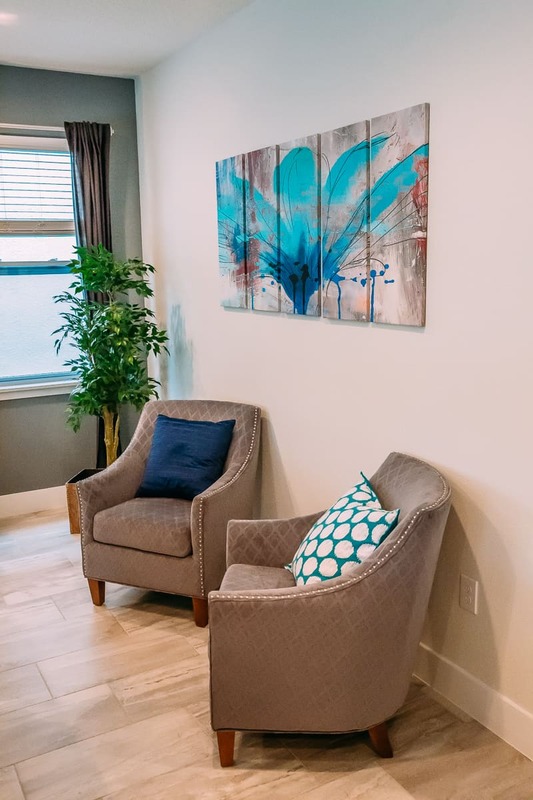 You can even have a massage right at home, because a personal masseuse will show up at your door! There’s also a very good fitness center at Encore Resort in Orlando for those looking to stay active. 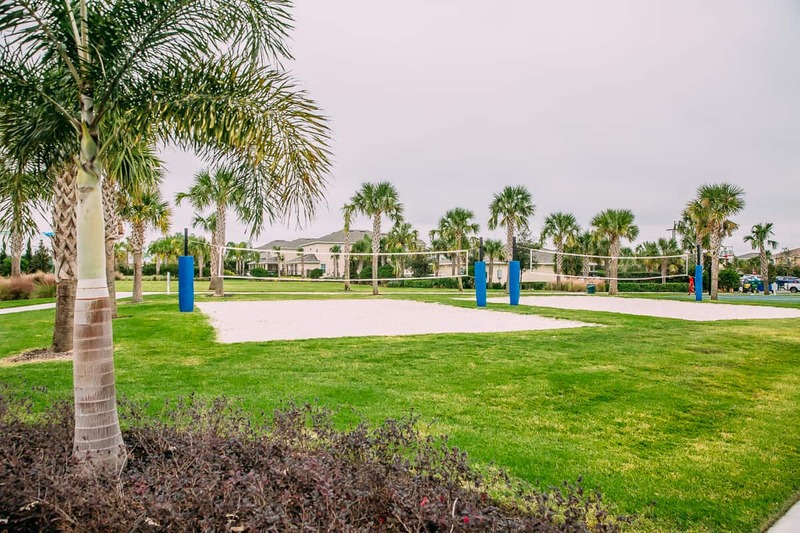 Also on property are several tennis courts, basketball court, beach volleyball, and two playgrounds. 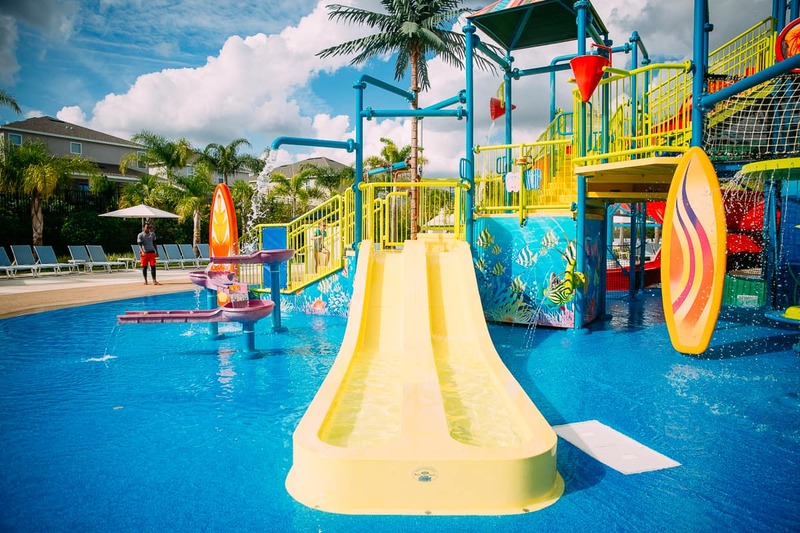 There’s also a kids club with games and movies when they need to take a break from all the fun in the sun. With all there is to do at Encore Resort in Orlando, you’ll find it hard to leave and visit Disney World! 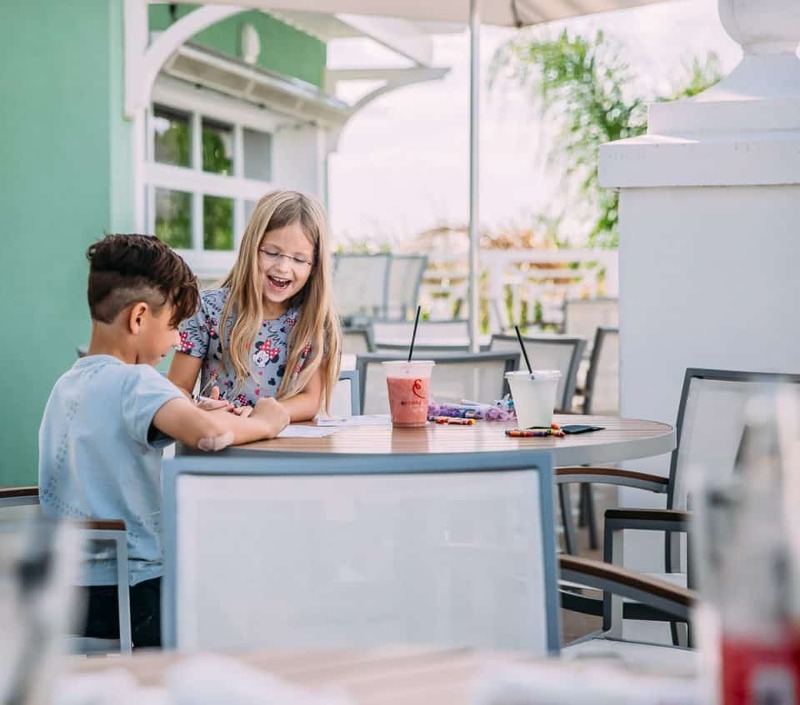 Located in the main building is Finns Cafe. 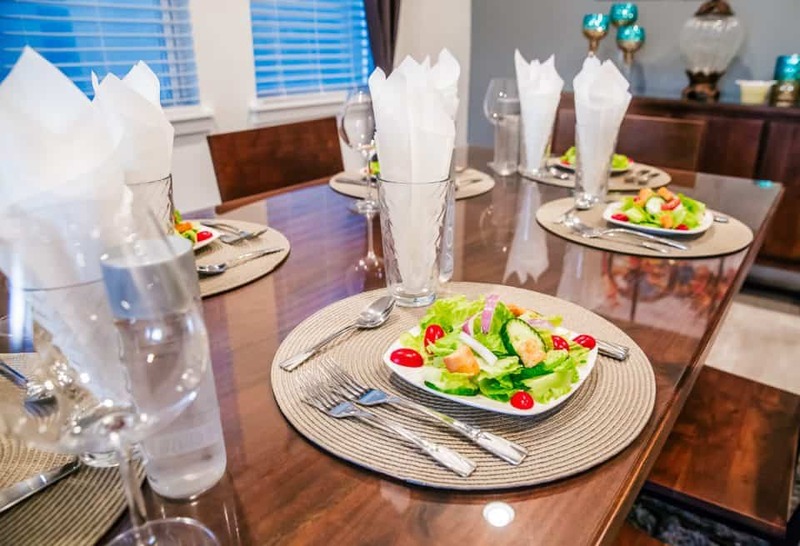 This restaurant can be enjoyed as a casual dining experience with the convenience of great food made fast. 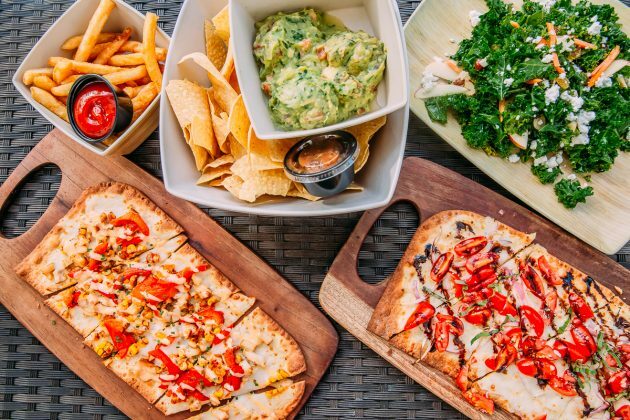 Here you’ll find some great appetizers, flat breads, pastas, and even steak. 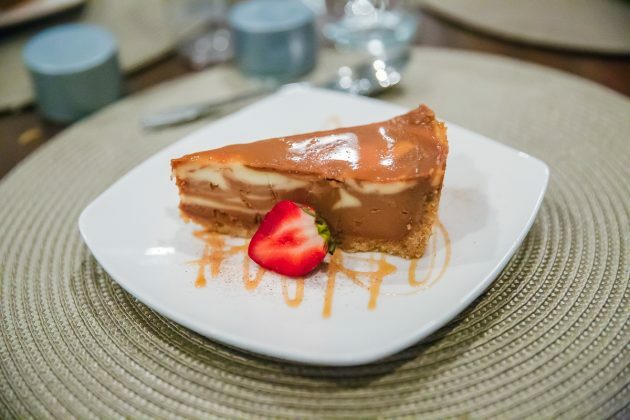 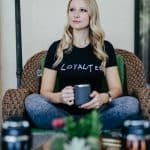 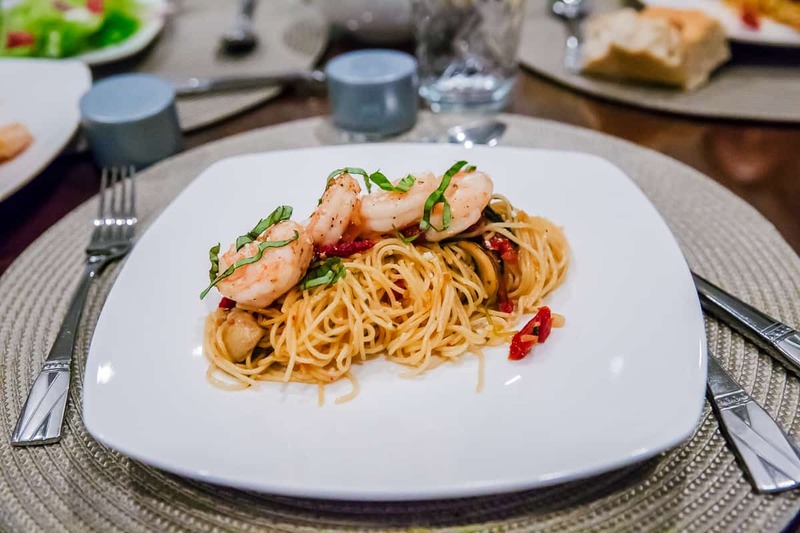 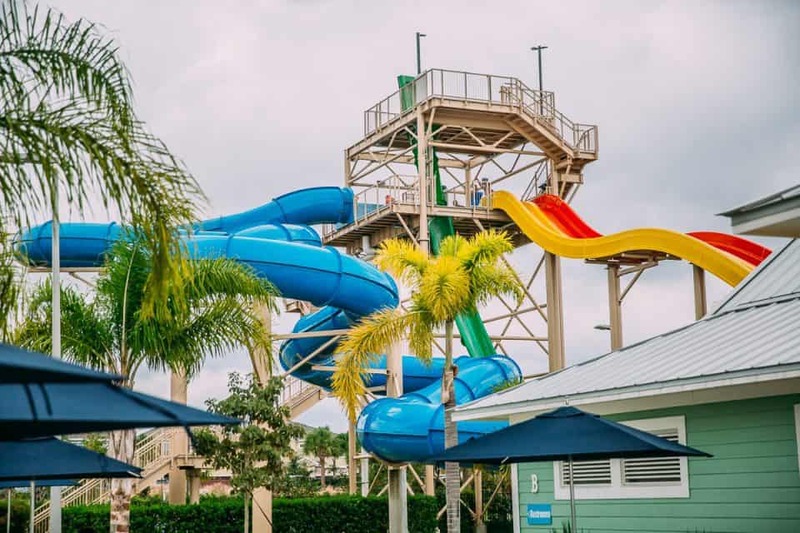 It’s a great choice when you’re in a hurry to enjoy the resort or the attractions and want to grab a quick bite without sacrificing quality. The Shark Lounge is the place to go to enjoy signature drinks and catch the game. The lounge is located on the second floor of the main building it overlooks the AquaPark so you can keep an eye on all the fun below. 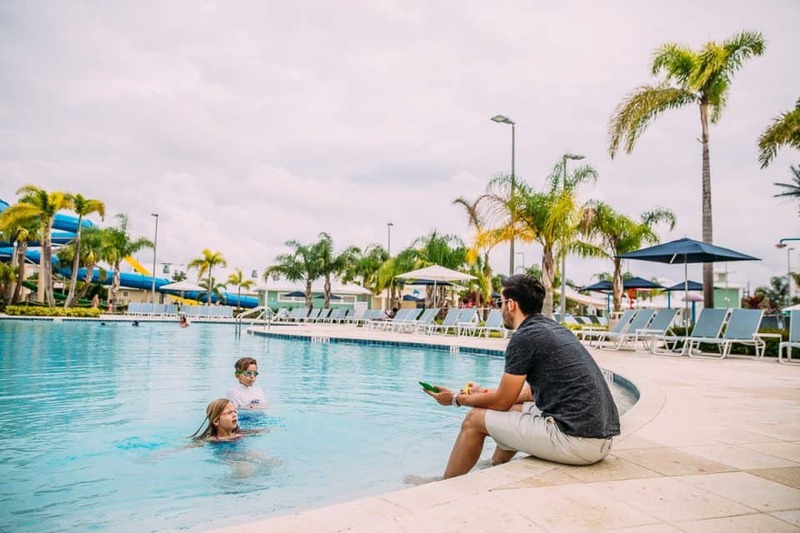 If you can’t sneak away to lounge there is also the Bis Grill located in the AquaPark. 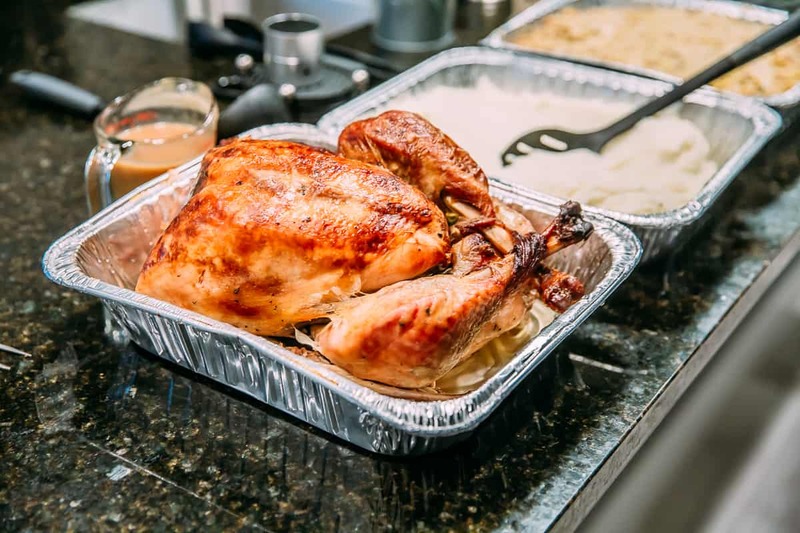 Here you can order some amazing sandwiches like the Reuben or coconut shrimp to share with everyone. Kick back in your cabana and relax with a few drinks while the kids wear themselves out on the water slides. 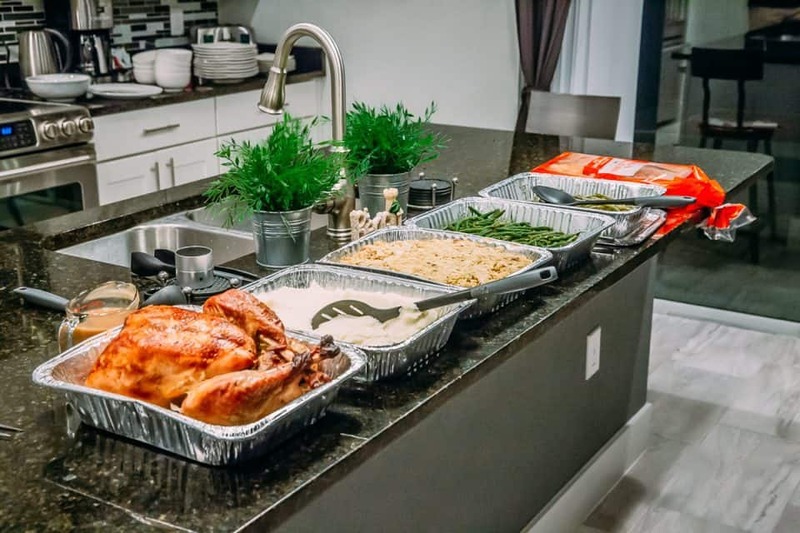 All of the food available at the main building is also available in your home. 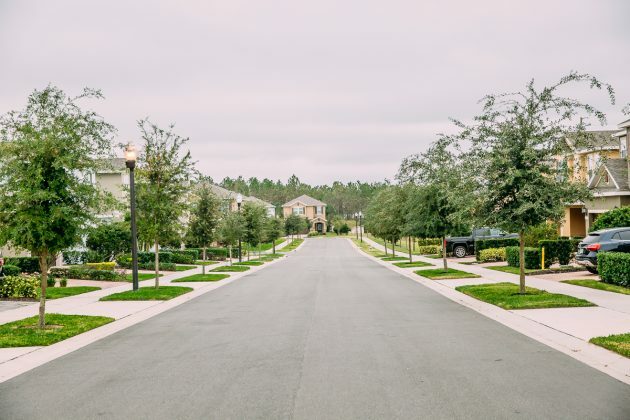 Call up and order home delivery and it will be rushed to your front door after a long day at the parks. 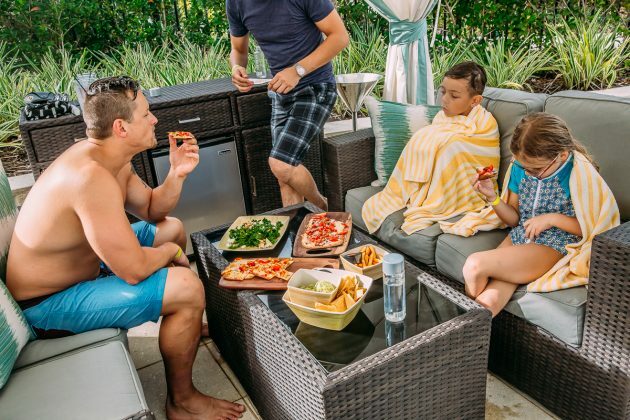 If that wasn’t great enough, Encore Resort in Orlando has the in home chef experience that will be sure to delight the entire family. 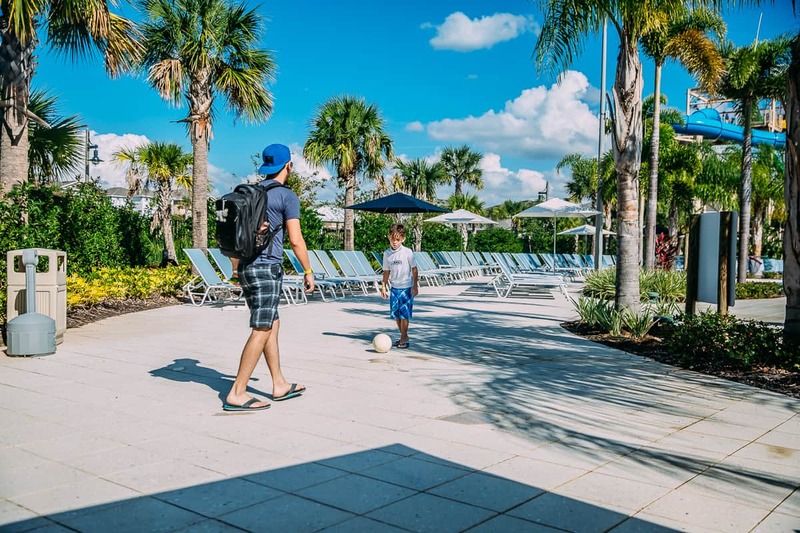 Just going the extra mile to prove they are one of the best family resorts in Orlando. 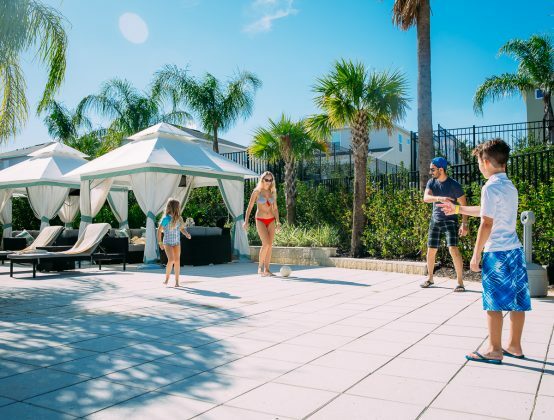 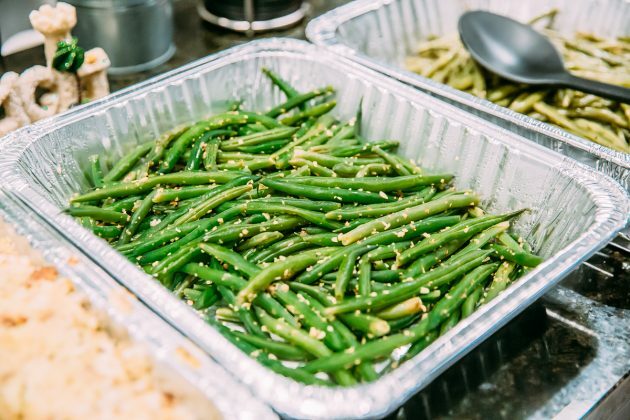 If cooking is not on your list of fun activities or you’re too exhausted from being at the parks all day then Encore Resort in Orlando has the solution. Stay home and a chef will come and cook for you! 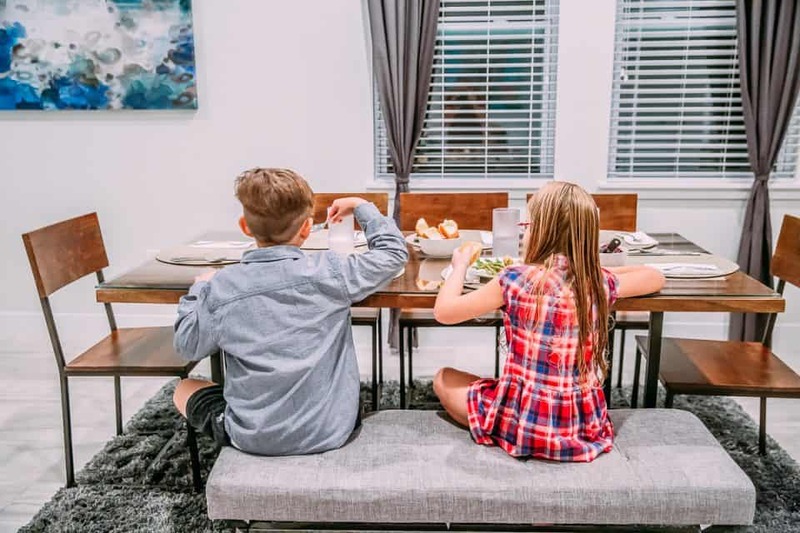 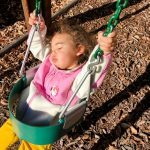 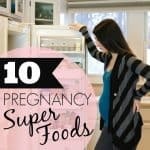 No need to drag tired kids out to the restaurant or spend an hour cooking. 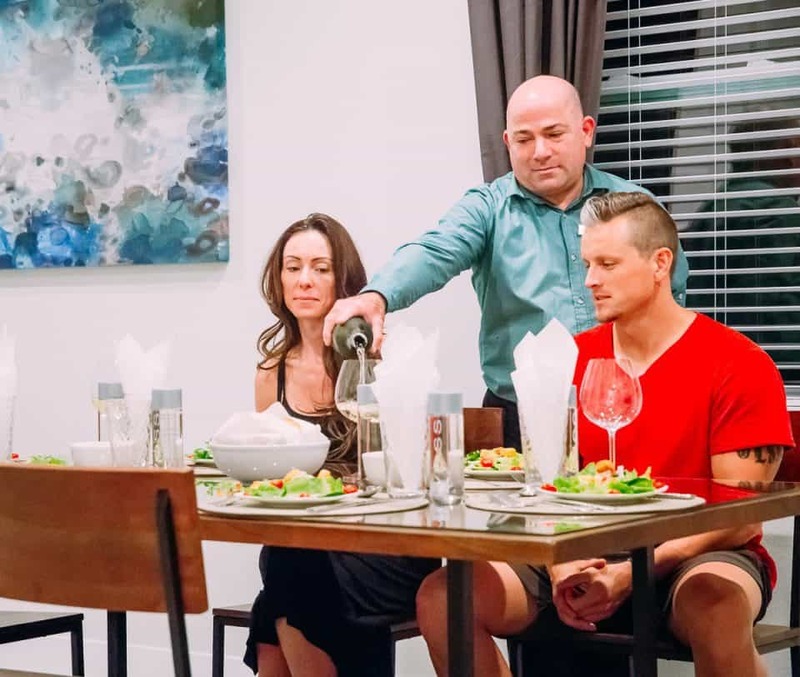 All you need to do is say what time you’d like to eat and a personal chef accompanied by a waiter will be there to take care of everything. 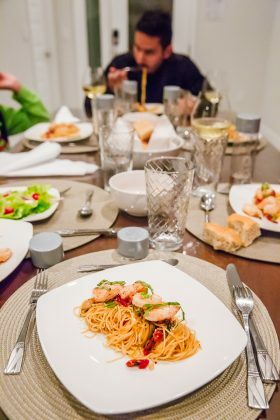 When scheduling your dinner just let them know what kinds of things your family likes to eat and if you have any food allergies. 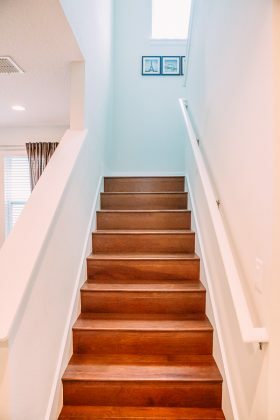 From there your work is done. 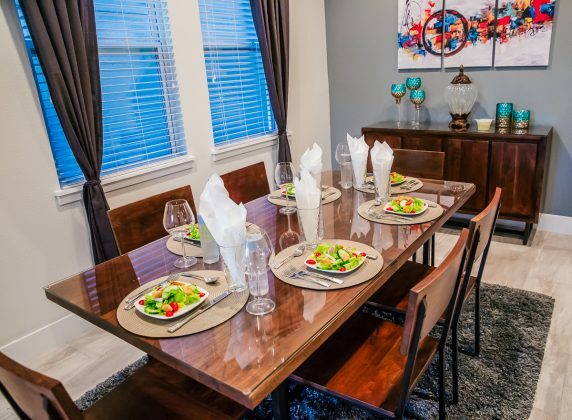 Sit back, have a drink, and watch a gourmet dinner be prepared right in front of you in your house. 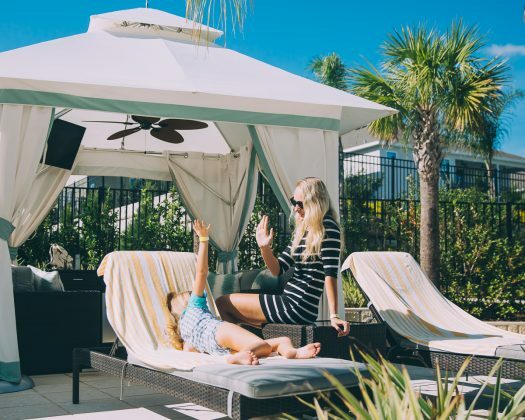 This is just another reason why Encore Resort in Orlando is an outstanding family resort in Orlando, Florida. 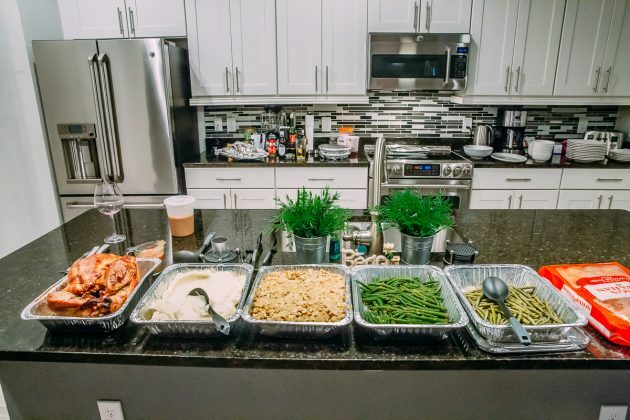 The meals are absolutely amazing. A gourmet dinner with the touches of a home cooked meal all wrapped into one. 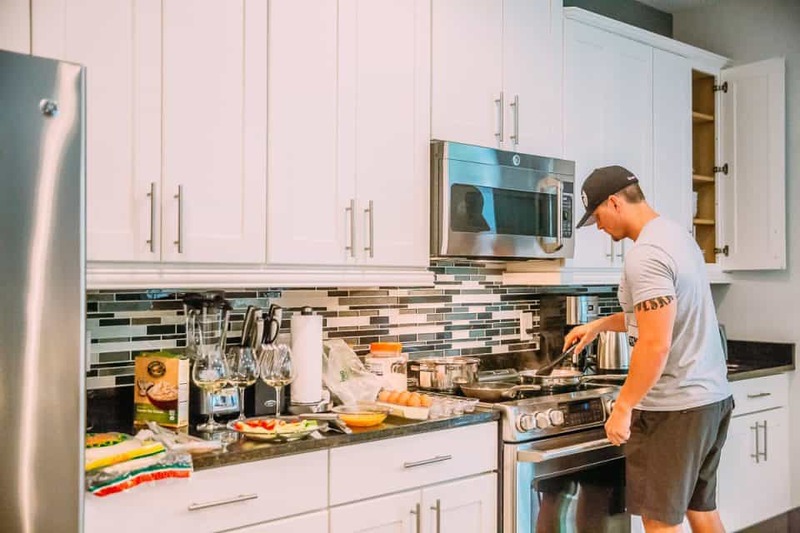 Maybe you’d like to learn some new cooking skills while you’re at it. 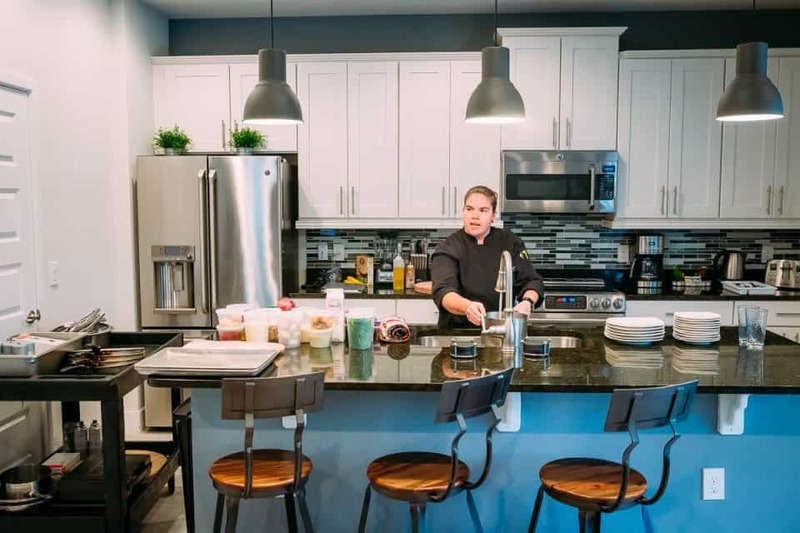 They also offer cooking lessons to those looking to up their food game in the kitchen! 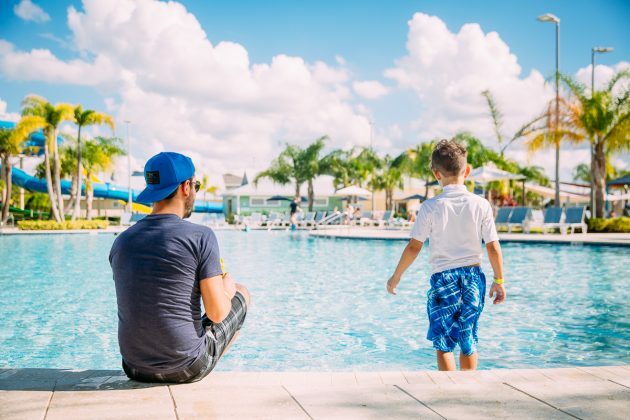 Encore Resort at Reunion is the perfect spot for a family vacation that is more like a home away from home. 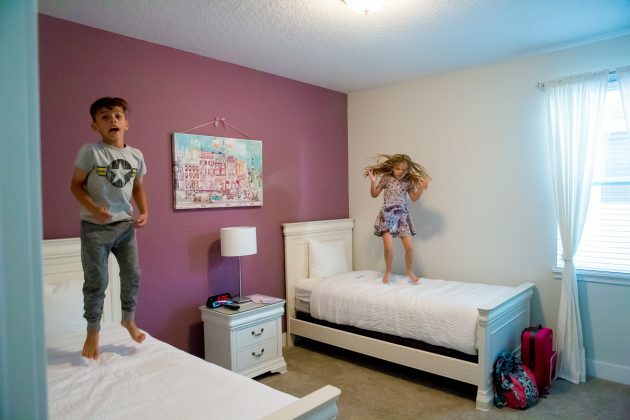 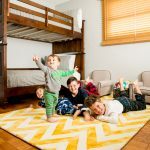 No more stuffy hotel rooms where your family can barely move. 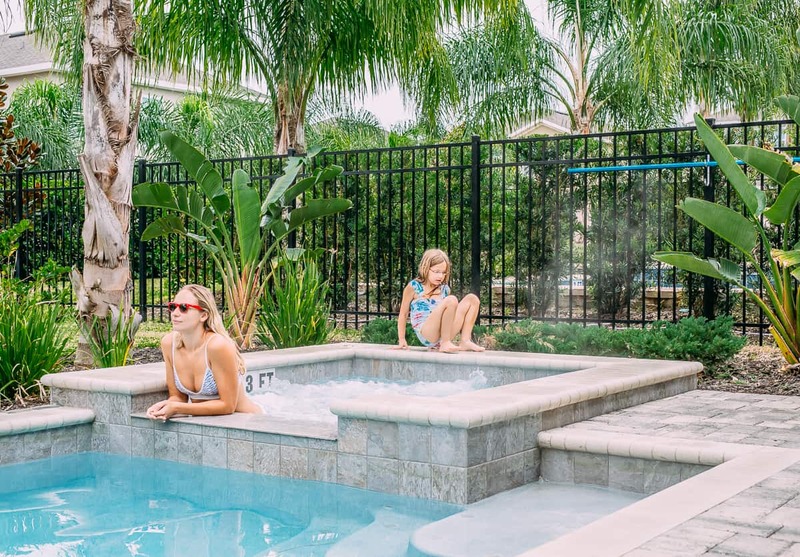 At Encore Resort in Orlando you can have the comforts of a real home all while taking in the relaxing amenities of a resort vacation. 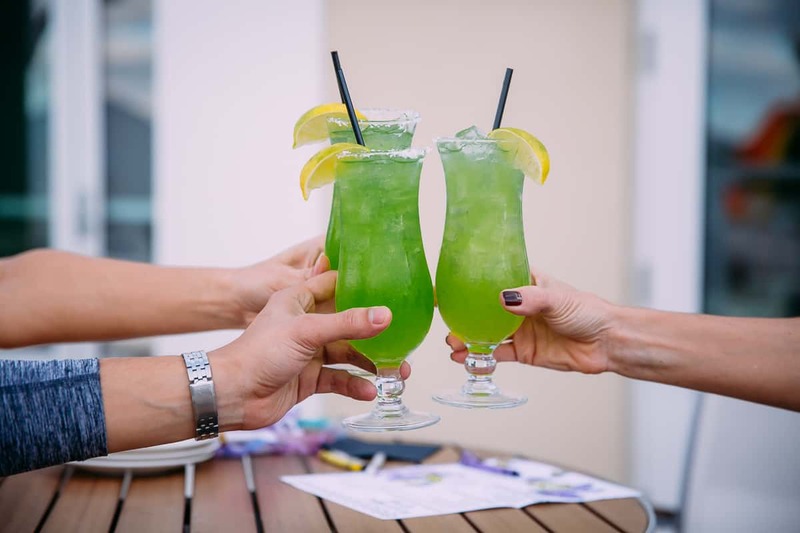 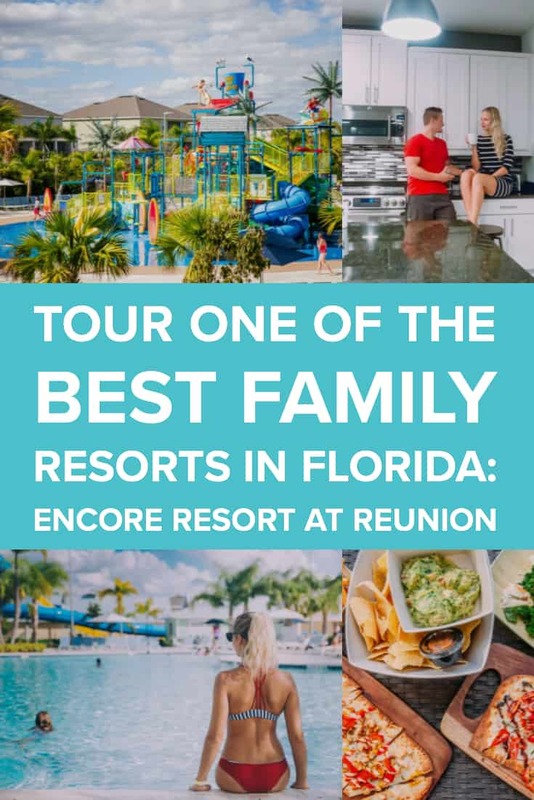 With just a short ride to all of Orlando's amazing attractions, Encore Rest at Reunion is just the place for your next family vacation or family reunion. 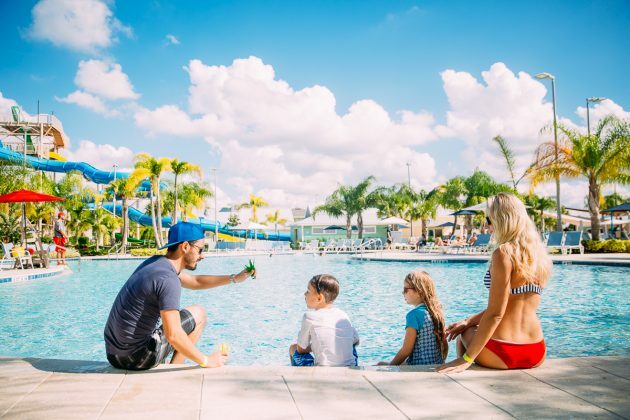 Looking for more travel ideas for you and your family? 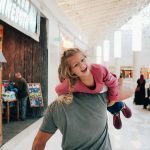 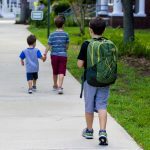 Check out Daily Mom's Travel section for more!